The 2018 Key Royale Club men’s handicap tournament concluded March 28 after five weeks of match play. Thirty-two golfers began the tourney and, in the final 18-hole match, Art McMillan defeated Chuck Patrick 5-and-3, holding a five-hole lead with only three holes left to play. Regular golf action at KRC began April 2 with the men playing a nine-hole modified-Stableford system match. 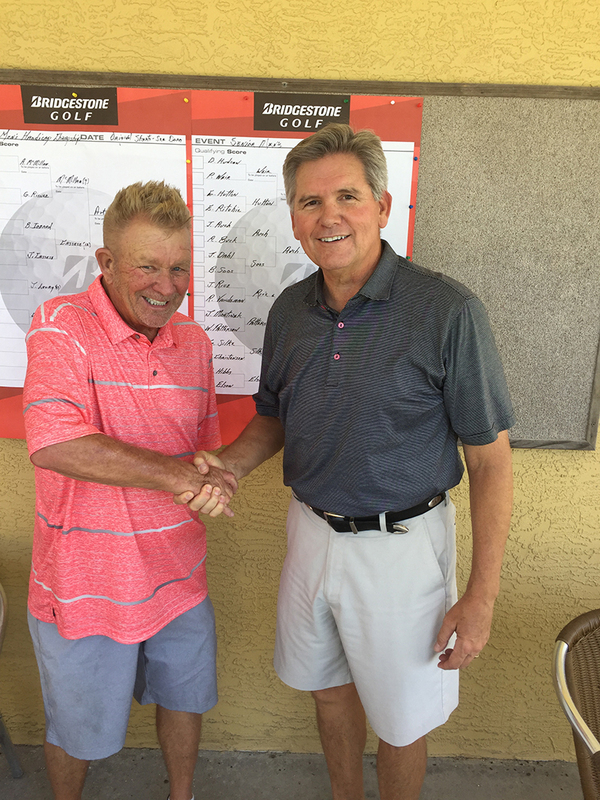 Gary Risner earned clubhouse bragging rights with a score of plus-7. Larry Pippel took second with a plus-6, and Jack Connors took third place with a plus-5. The women played a nine-hole individual-low-net match in four flights April 3. Judy Christensen fired a 4-under-par 28 to lap the field in Flight A. Sue Christenson dominated Flight B with a 4-under-par 28, giving her a six-shot victory over second-place finisher Carol Patterson. Flight C was more competitive as Jan Turner earned first place with a 3-under-par 29, one stroke ahead of Sue Wheeler. Jana Samuels was alone in third place at 1-under-par 31. Susan Van Orsdel topped Flight D with a 3-under-par 29. The men’s golf action April 5 saw a nine-hole shamble. The team of Tim Friessen, John Kolojeski, Stephen Morley and Bob O’Brien combined on a 5-under-par 27 to earn clubhouse bragging rights for the day. One stroke back was the team of Tom McDonnell, Larry Pippel and Bill Shuman. Youth basketball action continued last week at the Center of Anna Maria Island, starting with a pair of games April 3. Bins Be Clean outscored Blue Lagoon 36-28 behind 17 points from Cole Carter and 11 points from Anthony Nguyen. Jackson Hayes scored 9 points and Ben Barreda added 6 points for Blue Lagoon. The second game of the evening saw Beach Bums outlast Slim’s Place 51-46 in overtime, only to lose the game by forfeit due to a non-rostered player. Tyler Brewer led Slim’s with 20 points, Tuna McCracken added 14 points and David Daigle finished with 10. Brock Soletti led Beach Bums with 20 points, while Evan Christenson added 11 points in the loss. Action continued April 4 with Beach Bums rolling to a 54-21 victory over Bins Be Clean behind 20 points from Brock Soletti and 17 points from Connor Ludwig. Jeremiah Sculco added 8 points in the victory for Beach Bums. Cole Carter’s 10 points paced Bins Be Clean, which received 3 points each from Nguyen and Cash Carter in the loss. Slim’s Place rolled to a 46-14 victory over Blue Lagoon behind 13 points from Brewer, 12 from Shane Solettie and 10 from Daigle. Jackson Hayes scored 3 points and Ben Barreda added 2 points in the loss. Adult soccer kicked off at the center April 5 with four games played. The action got started when Sato Real Estate rolled to a 6-2 victory over Acqua Aveda behind 5 goals from Damir Glavan and a goal from Jose Caseras. Josh Sato added two assists and Nate Talucci chipped in one, while Jordan Demers helped preserve the victory with five saves in goal. Eric Pullen paced Acqua Aveda with a goal and an assist. Jeff Walker notched the other goal, while Jason Sato made six saves in the loss. Legler Flynn Law outscored Moss Builders 5-2 in the second match of the evening behind two goals each from Jeremias Gramajo and Amy Ivin. Chris Le Clainche added a goal and an assist, while Steve Oelfke finished with two saves and an assist in the victory. Chris Scott had a goal and an assist to lead Moss, which also received a goal from Stephen Adair and three saves from Ivan Gaeta in the loss. Lancaster Design held on for a 5-3 victory over Ross Built in the third match of the night, getting two goals each from Sumiko Chipman and Robert Armstrong. Greg DeMeuse added a goal and Trey Horne came through with five saves in the victory. Ross Built was led by two goals from James Lynch and a goal from Ben Sato, while Chris Klotz and Omar Polar came through with assists. The last game of the night saw Mar/Kis Insurance and Slim’s Place battle to a 2-2 tie. Joel Sanchez scored two goals to lead Mar/Kis Insurance, which also received an assist from Kris Yavalar and five saves from Mario Prino in the draw. Rico Beissert and Andre Lewis had a goal each and PJ Smarjisso had an assist and a pair of saves to lead Slim’s Place to the tie. Action continues with four games starting at 6 p.m. Thursday, April 12. Three teams emerged from pool play and battled it out for the day’s supremacy during April 4 horseshoe action at the Anna Maria City Hall horseshoe pits. Walker Tim Sofran drew the bye into the finals and watched as Neil Hennessey and John Crawford blew out Tom Skoloda and Jerry Disbrow by a 23-4 score. Hennessey and Crawford stayed hot in the finals and held off Sofran 22-18. The April 7 games saw six teams go 2-1 creating a large and convoluted playoff. Round one saw Dom Livedoti and Donnie Goodwin roll to a 25-3 victory over Sofran and Hennessey while Crawford and Steve Doyle moved on with a 22-12 victory over Disbrow and Steve Hooper. Myles Macleod and Skoloda closed out round one action with a 23-4 victory over Norm Langeland and Al Booker. Macleod and Skoloda drew the bye into the finals and watched as Livedoti and Goodwin easily defeated Crawford and Doyle 26-7. Livedoti and Goodwin stayed hot and earned a comfortable 22-9 victory over Macleod and Skoloda in the finals. 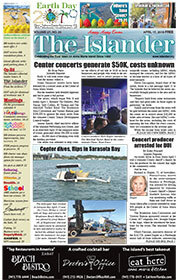 Play gets underway at 9 a.m. every Wednesday and Saturday at the Anna Maria City Hall pits. Warmups begin at 8:45 a.m., followed by random team selection. There is no charge to play and everyone is welcome. Players interested in taking their game to the next level are invited to register for tryouts for the 2018-19 competitive Manatee Magic soccer league. Tryouts for the junior age group — players with birth years of 2005-10 — are set for 6-8 p.m. May 14-15, with checkin starting at 5:30 p.m. The junior season runs mid-October to April, depending on the success and desire of the teams. Senior group tryouts will be 6-8 p.m. May 16-17 with checkin at 5:30 p.m. The season for high school age players is split to avoid conflict with high school soccer. It runs August to October, then resumes mid- to late-January and, depending on success and the team, continues through April. Tryouts are held at the G.T. Bray Park soccer fields, 5502 33rd Ave. Drive W., Bradenton. There is no cost for the tryouts, but interested players must register online at mayso.org. The cost for the season is $600, including two uniforms, backpack, training and one tournament entry. For more information, email info@mayso.org.